Since end of the summer I have been working mainly on the transcriptions, having more and more difficult time to find new projects. But the ideas are coming, some not so good for the trash can and some really good for more fun. But before I show you my newest babies, I would like to mention some thoughts I am concerned about. Well, one of the main concerns is that there are so many internet platforms for anything that I am not sure where to try even to make a bit of advertisement for our music. The problem is that no matter how good or bad our transcriptions are, there is barely a chance that many musicians will find them. Of course the first reason is that these works are new, so no one knows about them. And here I am in trouble because I have no idea where can I find the right places to reach out to our target audience, namely harpists and violinists. Facebook is almost the only platform as a social network where we have already quite a lot of harpist colleagues as friends but I am not sure if the other social places would help me much at all. I think Facebook and co. are all for people to show off with what ever they have to show, but they mostly don’t care about the others. Quite natural so, I know, so I would love to find more serious places. Well, I’m working on it! But my real main concern is actually the harpist community, as it is. Knowing many personally and hearing the tons of stories about them, I am really not sure about the perspective of a harpist after having finished studying this lovely instrument. Orchestras have little space for them, many do not even have a harpist position at all. So all of them in orchestra are probably the most lucky ones, hopefully with a tenured contract in a secure orchestra. But a probably very high number of the remaining harpists live as freelance players. That can be really good if you are a great player with some nice social talents, but actually it can be also not so easy if you don’t have the right contacts and have less talent how to “sell yourself”. But in any ways, what are the freelance jobs for a harpist? Playing for weddings, all kind of other celebrations, as a “background” musician. And that is all but not necessarily a very pleasing job. Even if you like it, playing all the time the same easy popular pieces, could at one point become very boring, and on other hand not very encouraging. You never learn something new, you play just like a machine, as if it would be almost better to use a recording instead. What I would like to point out here is that except a few soloist harpists, there are just not enough harpists on the recital stages; harpists as soloists or chamber music partners. 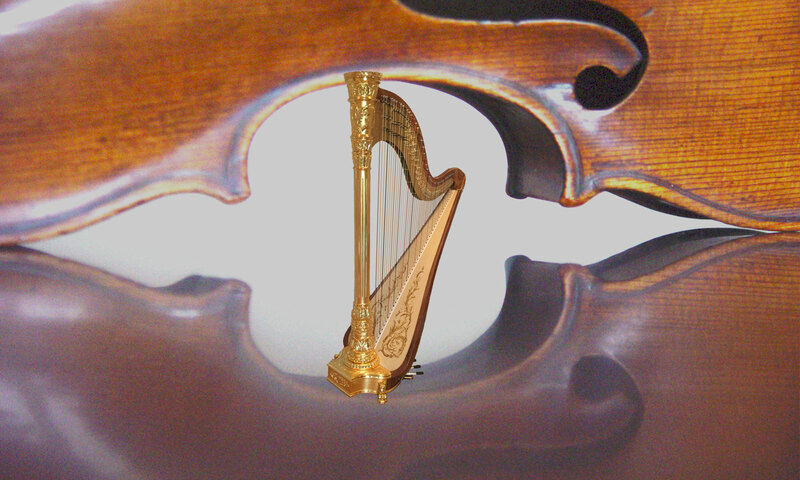 As an enthusiastic musician, if I meet a harpist, one of the first things I am asking their opinion about the sound of the harp with a violin. And the answer is always, oh yes that’s really nice because the two combine so nicely together with their similar character. Yes, it is a beautiful combination of voices. I would like to encourage every harpist to ask their violinist friends to play chamber music together. It is a genre that doesn’t have a huge literature, well, we are working on that here for sure. And if you think about the structure of the two instruments, no matter how much is the size difference, it is the combination of lots of wood with mainly gut/nylon strings. 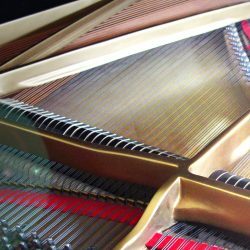 If we have a look at the general chamber music literature, perhaps a very big part was written before the last development of the modern piano. Especially playing the big violin/piano Sonatas, Beethoven, Brahms etc. as a violinist, we have to be really diplomatic and gentle with our partners, how to ask them to try to reduce all dynamics to a medium level to allow our often old nice Italian violins to come through to the listeners. I don’t remember that I had to use this method to approach a harpist chamber music partner ever because from nature the two sounds are so similar not only in colour but also in dynamic levels. 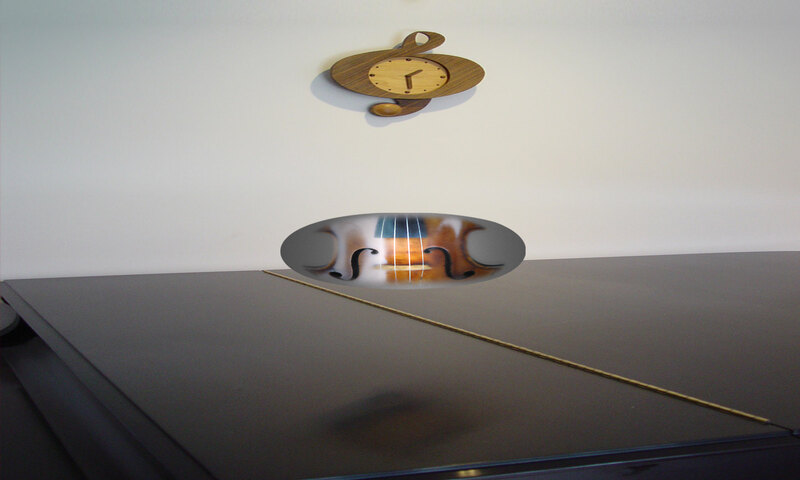 And here is the time to mention our first new transcription because it was written already in time of the modern pianos, however, what many probably don’t even know, originally it was written for a different kind of piano, the luthéal; Tzigane by Ravel. Yes, this instrument was hardly ever used, had a smaller sound, similar to the cimbalom. And when he rewrote it for orchestra accompaniment, he used the harp a lot, with those many glissandos too, which was impossible on the piano because of its chromatic system. It is not easy for the harpist but I think also not more difficult than the piano part for the pianist. Another gem, much easier technically, is coming very soon, Saint-Saëns Introduction and Rondo Capriccioso. For both, you’ll need an excellent violinist, but there are thousands of them out there. More on the lighter side is the Sarasate Zigeunerweisen (Gipsy Airs), where I included some nice additions, knowing, as a Hungarian violinist, how this kind of music is played by the Gipsy musicians; in this case the cimbalom. This officially “national Hungarian instrument” can be played very virtuosic, with many rubato up and down runs and rolled arpeggiandos. I changed the beginning of the middle song, as it is played mostly by the native Roma bands. Here, I wrote also a kind of preface with some explanations, which I find are useful for the musicians playing the piece to know about. There are a number of easier pieces music (in all senses and meaning of the word) in preparation, such as some lovely parts from a Glasunov ballet and couple of Debussy Preludes. Isolde’s Liebestod quartet version, complete with the original harp part.